These Dark Chocolate Fudge Brownies are low in sugar. Can you believe it? Sugar became my enemy about the time I turned 39. I feel absolutely awful – for hours or even days – if I eat sugary treats. Therefore I haven’t been able to eat a regular brownie for about three years. Avoiding desserts hasn’t been hard for me because a cookie is not even worth a migraine. Sometimes just the smell of sweets turns my stomach, thinking of how terrible I’ll feel if I eat them. So will power? That has nothing to do with my “I’ll pass on the dessert, thanks.” Sweets literally make me sick. I really do not want them. You know this is saying something since I’m the one who used to eat sugar with my sugar and wash it down with a fizzy glass full of sugar (and then have seconds). Perhaps I consumed a lifetime quota of sugar by the time I was 39. More likely I think this is a result of some major cleansing and heavy metal detox I’ve been doing with my natural doctor during the past few years. My body is at a point of only wanting the good stuff. Okay then. This is probably the best side effect ever. Having said all that, I do really appreciate a treat that is lightly sweetened. My body can handle these in moderation, and experimenting with recipes to drastically cut the sugar has been really fun. As you know from reading any of my recent low-sugar recipes – I’m learning that treats and dessert really do taste wonderful even when the sugar content has been cut in a huge way. This, of course, has been greatly beneficial for our entire family (and now for yours!). I’ve wanted for so long to cut down on our sugar intake. It’s just hard since sugar tastes so doggone good. Thorough research has taught me that high quality fats like coconut oil, butter, and palm oil are not our enemy when it comes to good health. SUGAR IS THE ENEMY. I should probably write an entire post about this. (Oh wait. I just did.) But go read it later because, my friends, I have a Low Sugar Brownie Recipe and I’m not afraid to eat it. This is my most exciting discovery in all my low-sugar recipe experimentation. We can cut the sugar in brownies!!!! Mix together melted butter, cocoa, and sugar. Spread into a 9x9 inch baking dish or a 9 inch pie dish. Allow brownies to cool before cutting them (good luck). These bake up a little different from “full sugar” brownies. You may notice that the butter sizzles on the top of these while they’re baking. Don’t worry a bit. Take them out of the oven after 20 minutes of baking and let them sit for a few minutes. The butter settles in and turns your brownies fudgy and moist. Onward we go, testing out more low sugar recipes! How fun is this?! This looks so tastey. I would love to see some low sugar coconut flour desserts. Our family doesnt eat grains. So when I see these recipes I feel like I am living vicariously through you! I would imagine you could take any coconut flour recipe and cut the sugar at least in half. It’s worth a try! Will using regular whole wheat flour (instead of pastry flour) make them have a weird texture? Too dense, I assume? They will be a little dense but it would still work to turn out a yummy brownie! Oh man, I barely know the facts – I just trust my doctor who is testing me monthly and providing me with remedies which are “live organisms” to flush the metals out of my system. About three years ago I had all my mercury fillings removed and replaced – so that was a huge start. But there’s STILL a lot of heavy metals in me that I’m working to get rid of. It’s been a 3.5 year process so far! Sometimes I feel awful as a result, but I know I’m working to get rid of what could potentially cause terrible illnesses. Plus I know this will help in the short term to help me get rid of frequent migraines! So, I doubt I’ll do a post on all of it since what I just wrote is the summary of it and I just don’t know all the technical stuff! But hopefully that summary gives you an idea. I’m so grateful to be doing the detox, tough though it is sometimes! Just wondered where you found a dentist to replace your mercury fillings. And what procedure did they use? Did you have any prep (building up your body’s immune system)? This is something I’ve been looking into and trying to figure out the best way to go about it. My natural doctor knew of a dentist in Lincoln, NE that does it so I went to him. Great dentist, though his reasons for not liking mercury fillings are only because of the fact that in the long run, they ruin the tooth. He isn’t afraid of the toxicity of mercury. SO, he took no precautions. I was under the care of my natural doctor through it all so she gave me everything I needed before and after (and still) to work to get out all the mercury in my system. I wonder would I be able to use coconut oil instead of butter? Also I grinding my own white wheat flour can I use that or do something special to make it pastry flour? 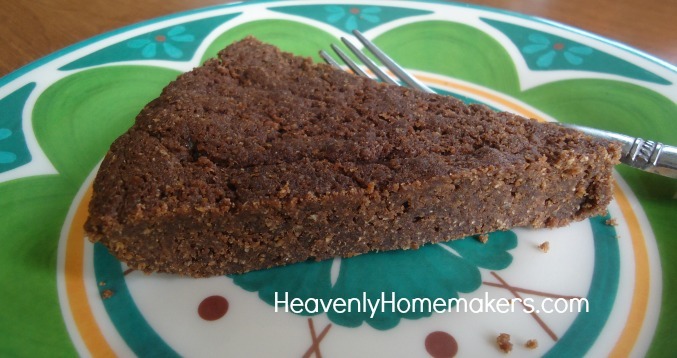 Nut flour in these brownies sounds tasty!! 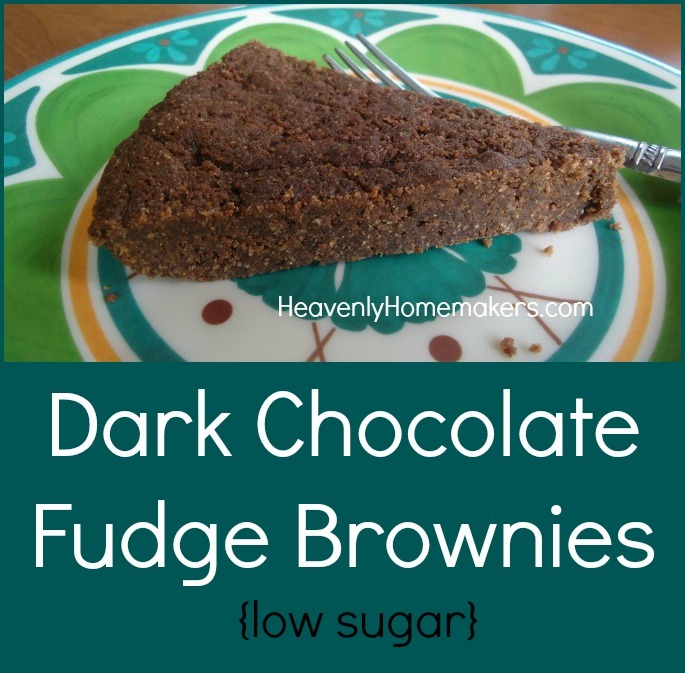 The brownies sound good, would like to give them a try….been trying to watch my sugar…it is hard…..could you use Honey ? I use honey mostly to sweeten things…..would this work in the brownies ?